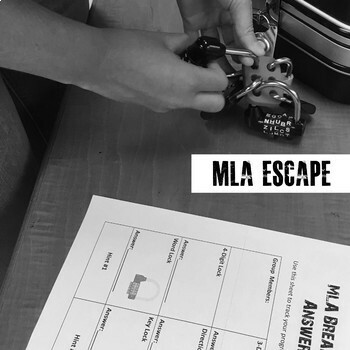 Get ready to dive into an exciting escape-room style adventure with this break-out game designed to review MLA skills with secondary students! 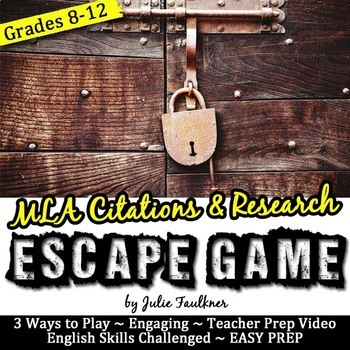 From the most reluctant learner to the most advanced, all of your students will be 100% engaged in solving the clues in this interactive game for 8th edition MLA formatting. Plus, you'll be on the cutting edge with this educational teaching trend that will be exciting and purposeful in classrooms for years to come! 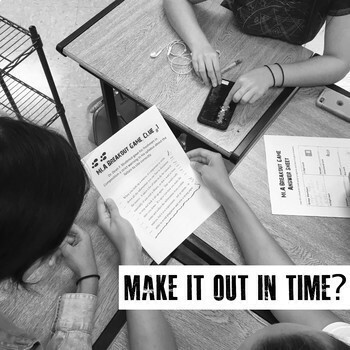 Student Experience: In this interactive, student-centered, hands-on game with a flexible three-ways-to-play format, students must work to solve the clues in order to help a wayward college student who has landed in the Dean's office for plagiarizing his research paper. Students will review and practice MLA's nine core components for external citations, correct formatting for internal citations, and the importance and value of research and academic integrity. Your students will love the exciting, modern game-like format. You will love that your students are actually enjoying reviewing MLA formatting and research skills. Your admin will love to see that you're engaging all learners with higher order critical thinking and problem solving. My students were bubbling with excitement and energy the entire period! Are you ready to UNLOCK THE FUN?!?! *Requirements for the game no matter which way you play: Smart devices with QR scanners and headphones and Internet access. Access to youtube.com. ♥ "We had a great time doing this, and I love all the options for HOW to set up the game with varying resources." 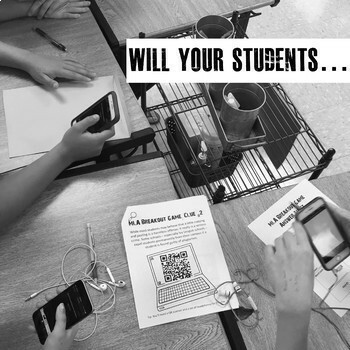 ♥ "My students love breakout boxes, escape rooms, puzzles, games, and anything else that does not resemble a worksheet or lecture in any way. As we near the end of the year, presenting information inventively and engagingly is difficult. This activity provides a great alternative to quizzes while still allowing assessment and feedback opportunities." ♥ "This was a wonderful review before we start researching. My kids were so engaged.Thank you." Plus, check out my other breakout, lock box, escape-style games, too!